Alec Lynn has been engaged in community outreach and service-learning for 7 years. After graduating high school in 2010 he found a passion for giving back. He is currently working as an AmeriCorps VISTA. 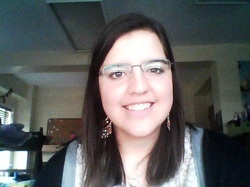 Alec coordinates service-learning projects for the Ionia County Youth Advisory Council in Ionia, Michigan, U.S.A. He has initiated two projects in Ionia County that aim to bridge the achievement gap. He also runs a non-profit basketball camp for students ages 5-14. 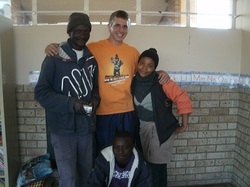 In August, Alec traveled to South Africa to work with youth in a poverty stricken community. He is an advocate for social justice and change. EllaKate Wagner, a Michigan State University Special Education Teaching major, has been involved with youth volunteerism for over 11 years. EllaKate readily engages a variety of different groups in service. She has a remarkable ability to encourage young people to investigate and participate in service efforts. EllaKate has had the opportunity to sit on multiple boards both locally and nationally which include the State Farm Youth Advisory Board in which she helped distribute $5,000,000 in grant monies to youth volunteer organizations, the National Youth Speakers Bureau and the National Youth Leadership Council Youth Advisory Council.